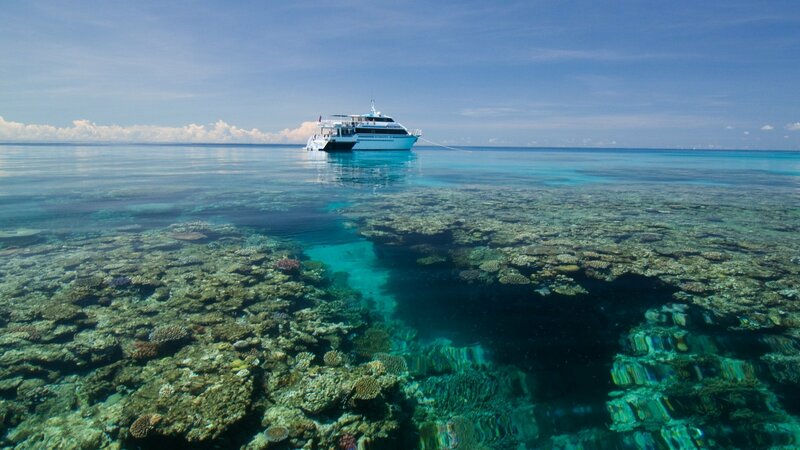 Pro Dive Cairns is Australia’s Premier PADI Dive School as well as a leading outer reef liveaboard dive trip operator. Since 1983 Pro Dive Cairns have developed an international reputation for quality, professionalism, safety and value, specialising in dive courses and diver education from beginner to professional, three day liveaboard dive trips and retail sales of dive, snorkel and water sports equipment. Dive courses are conducted at Pro Dive Cairns’ Five Star PADI Training and Development centre featuring Cairns’ deepest diver training pools and completed on the magnificent Great Barrier Reef aboard one of three premium dive boats. Dive courses and liveaboard trips commence six times a week.